Hi, I am... not new but I'm back again. I think I make more of these returning threads than I do anything else. Anyway I've been lurking for the last couple of weeks reading a few posts and decided to get my account going again. Hopefully I'll remain active for longer than a week but who knows. Anyway I don't know who is still around that may know me but I'm 135791 previously went by other names and I used to be a Moderator here around 10 years ago! Hey nice to see another old member, I don't know if you'll remember me.. Welcome back...it's nice to see old timers becoming active again. Also I was wondering if you remember me, I used to be a moderator here too back in the day when David Lindon was around.He still pops in now and then to see what's happening. Sorry I am so late to the party. Nice to meet you! 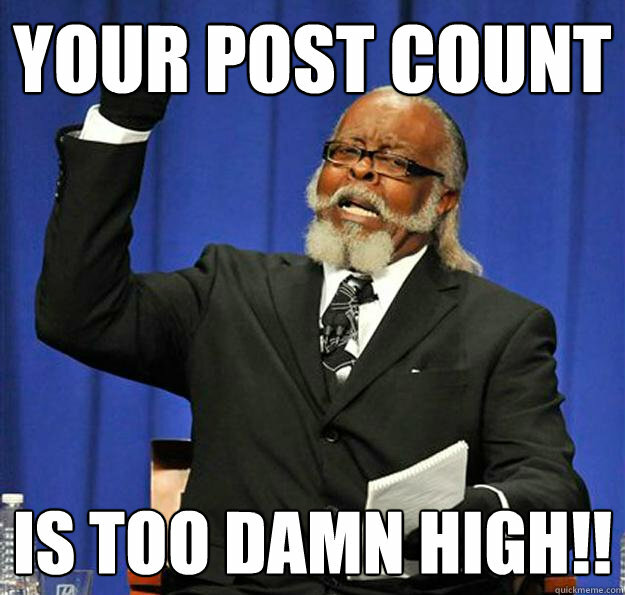 Yes I remember you being the first person in a long time to overtake my post count!! That was a long time ago. Hi,I am newcomer,nice to know you .. Welcome to the forum, have fun postin. Yeah we had fun back then, I remember trying to keep up with Lord Kalthorn.